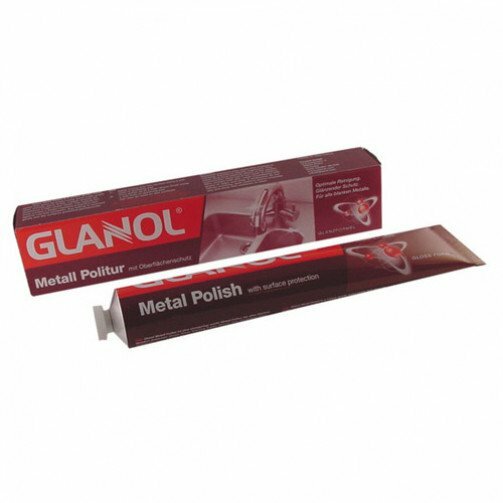 Glanol (the new name for Wenol) is a product with a fantastic reputation for cleaning metal surfaces. Helping to clean and preserve all blank metal surfaces. Glanol is gentle and gives a sparkling shine as well as creating a long lasting water resistant coating which helps protects against rust and tarnish. Apply Glanol evenly to the surface with a soft cloth. Polish vigorously and then buff the metal to make a shine. Can be used on wet surfaces.